Data from the U.S. Bureau of Economic Analysis and the American Association of Railroads show that between 1990 and 2015, the economy expanded 83% on an inflation-adjusted basis while carloads on the rails declined 4%. 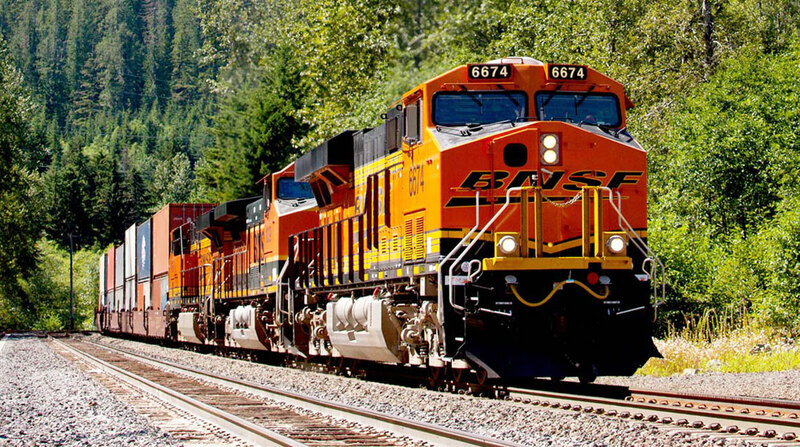 Lee Clair, a managing partner at Transportation and Logistics Advisors, said that industrial production and imports have grown at a 2.7% compound annual growth rate in the last 25 years, whereas the rate for the railroad industry, excluding intermodal, was negative 0.2%. “We went through commodity by commodity and we found that rail was losing market share in nearly every one. Rail has lost share in automobiles, steel and metals. Rail has even lost share in transporting corn and chemicals over time,” Clair said. Some railroad executives hoped that intermodal would be the savior, but it too has dried up with a negative 0.3% rate since 2014. In comparison, the trucking industry grew at a 2.4% compound rate during the same period. For those who believe freight will significantly swing toward the railroads due to the electronic logging mandate in trucking, Clair said he doesn’t believe that will happen next year. “In the railroad industry a lot of them go, ‘Boy this is really going to kick the trucks. We’re really going to get it [volumes] this time.’ But I’ve covered this industry for decades and it never happens,” he said on a Stifel, Nicolaus & Co. conference call. “Why won’t the trucking market drive volume to rail? Because it’s been the case before and it didn’t drive volume to rail. The cost gap [between rail and truck prices] has been opening, but it’s not driving volume to rail. Unless the railroads do something different themselves and create a different strategy, there’s no good reason for the customer base to act differently,” he concluded. If the railroad industry were to regain the volume it had back in 2006 — about 1.5 million carloads monthly (excluding intermodal) — then volumes would rise 33%, or nearly 13% when coal is excluded, Clair estimated. Clair said that railroad executives have to rethink the way their companies operate to entice new customers looking for state-of-the-art solutions, rather than antiquated processes. He added that railroad companies must develop new services to create value to shippers to capture new volume. One way to modernize would be to integrate some of the tactics used in the trucking industry, supplying data digitally to a shipper’s transportation management software and using alternative channels, such as agents, to broker freight in a similar way as truckload and less-than-truckload. Railroads use these tactics in the intermodal sector, working with intermodal marketing companies, but those strategies have not spread into other modes. Clair also said that railroad carriers need a better physical presence to promote their services. “If you look at sales costs as a percentage of revenue, or any other metric, and compare it to truckload, LTL, small parcel or freight forwarding, the gap is about 10 to 1 or more. The railroads just don’t have the coverage, the feet on the street and going in front of people,” Clair said. He also recommended that railroad carriers examine where they have excess capacity and study ways to land new customers, even if it requires increasing capital expenditures to develop easier access to the freight.